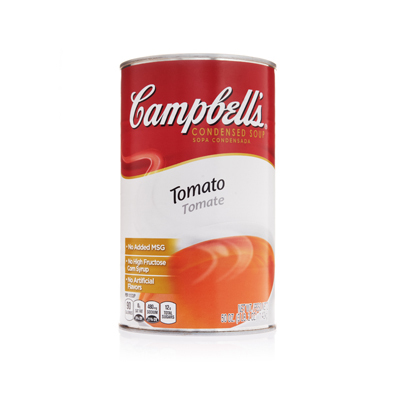 Transform this pasta dish by adding Campbell's® Condensed Tomato Soup and Swanson® Chicken broth to make a classic Italian favorite. 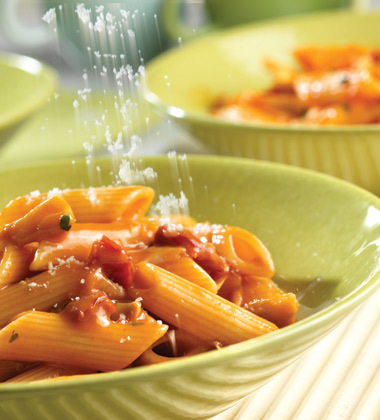 Topped with smooth, rich vodka sauce and grated parmesan cheese to please any crowd. garlic, peeled, slivered	 3 tbsp. 1. Heat oil in a rondo. Add shallots and garlic and sauté 1-2 minutes. Add vodka and let cook 1 minute. Add tomato soup, chicken broth and cream and bring to a boil. Reduce heat and simmer sauce 10 minutes. 2. Add artichokes, tomatoes, basil and parsley; heat through. Keep warm until ready to serve. 3.To Serve: For each serving, toss 1 cup hot sauce with 1 1/3 cups warm pasta and serve sprinkled with 2 Tbsp. grated Parmesan or Asiago cheese. Amount of dry pasta used in this recipe is 2 lbs. Any type of pasta may be used in this dish.